The Panasonic Lumix DMC-TZ100 (also known as the Panasonic Lumix DMC-ZS100) was announced at the start of 2016 and features a 20.1 million pixel 1-inch MOS sensor. It's also got a 10x optical zoom which covers a 35mm equivalent focal length range of 25-250mm. The maximum aperture range is f/2.8-f/5.9. Panasonic says that the TZ100 forms a new market in the compact camera arena, as its the first compact camera with a large, one-inch sensor, to also feature a notable (10x) optical zoom. That should make it ideal for travelling photographers who want the flexibility of different focal lengths. The Panasonic Lumix DMC-TZ100 also has a new Venus engine, and the same 4K video and photo modes as found in some of Panasonic's compact system cameras. That includes the ability to “post focus” and extract photos from 4K video files. 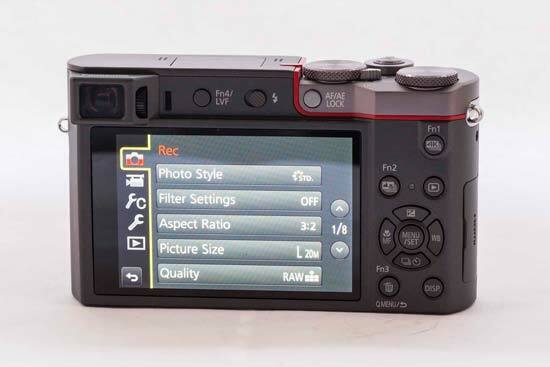 A 0.2-inch, 1160k-dot electronic viewfinder is joined by a 1040k-dot touch-sensitive screen. There's not really any like-for-like competition with the TZ100 as it stands, but in terms of its size and shape, it's reasonably similar to the Canon PowerShot G9 X. The Panasonic Lumix DMC-TZ100 / ZS100 is available in silver or black for £549.99 / $699.99. 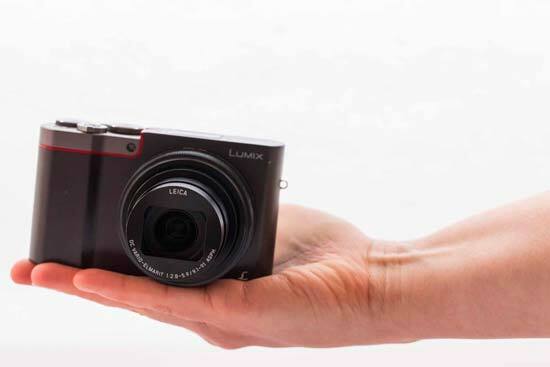 The Panasonic Lumix DMC-TZ100's body is impressively small considering it houses a one-inch sensor and a 10x optical zoom. It's also a little heavier than it looks, which gives it a nice weighty feel of quality. There are three colour ways to choose from, all-black, black with a red stripe, or black and grey with a stripe - the latter is what was supplied for our review. 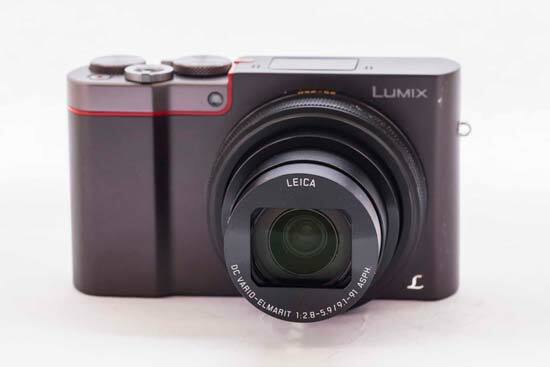 The front of the Panasonic Lumix DMC-TZ100 is slightly indented, which helps it to sit comfortably in your hand. There's no textured grip though so it can feel a little slippery in your hand - it's recommended that you attach the supplied strap to keep it secure. A pleasing number of buttons and dials can be found on the TZ100, with all of them grouped on the right hand side of the camera for easy reach with your thumb when using the camera one-handed. On top of the Panasonic Lumix DMC-TZ100 is a mode dial for selecting from different exposure modes, including aperture priority, shutter priority, iA (intelligent auto) and panorama. There's also another dial which is used for altering different settings depending on the shooting mode you're in - for example if you're using aperture priority, then it will control aperture. You can also use the dial to scroll through menus, and you can customise the dial to control a different setting if you prefer. The zoom lever which surrounds the camera's shutter release is reasonably small, but it feels pretty well constructed. If you're shooting in raw format, you won't be able to use the digital zoom, but if you have that switched off there will be a short pause before you enter into the digital territory which is useful for keeping it within the optical range if you want it to. Just to the right hand side of the shutter release button is a small video record button. It's pretty unlikely that you'd accidentally be able to push this, which is good news for avoiding accidentally video recording. Moving to the back of the Panasonic Lumix DMC-TZ100 and there's four different function buttons. Three of them are on the right hand side, while the fourth is next to the viewfinder. All of the buttons have default functions, but you can customise them, along with a further five “virtual” custom buttons which can be accessed via the touchscreen. By default, the Fn3 button accesses a quick menu which gives you quick access to commonly used settings such as white balance, ISO and metering modes. You can use a combination of the touchscreen and physical buttons to move to and change settings. There's also function buttons for 4K photo modes, switching on and off Post Focus mode, and altering how the viewfinder behaves. Again though, if you'd prefer a different function to assigned to any of these buttons, you can do that via the main menu. A control ring around the front of the lens again has default settings, but can also be set to different functions if you prefer. For instance, in aperture priority, by default it controls aperture, but you could change it to a different function. There are number of different autofocusing modes to choose from, including Face/Eye Detection, 49-Area, and 1-Area. If you have 1-Area mode selected, you simply need to tap the area on screen where you want to focus. As with its compact system cameras, you can continue to use the screen to set AF point while using the viewfinder - which makes setting the point very quick. 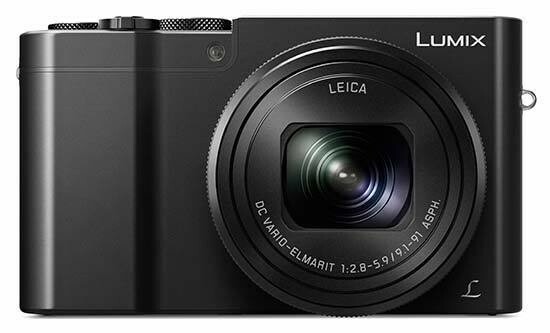 Speaking of the viewfinder, it has a sensor which means that it will automatically switch on when you hold the Panasonic Lumix DMC-TZ100 up to your eye, and the screen will automatically switch off. This makes for a clean transition between using the two. The viewfinder itself is relatively small when compared with some of the viewfinders which you might find on a compact system camera (such as the Panasonic G7), but it is never-the-less useful when you're photographing in bright sunlight and want to avoid using the screen. The screen gives a reasonably good angle of view, and while it doesn't suffer too badly from glare or reflections unless the sun is very bright, it would have been nice to have an articulating or tilting screen - it's likely that this would have boosted the price of the camera. 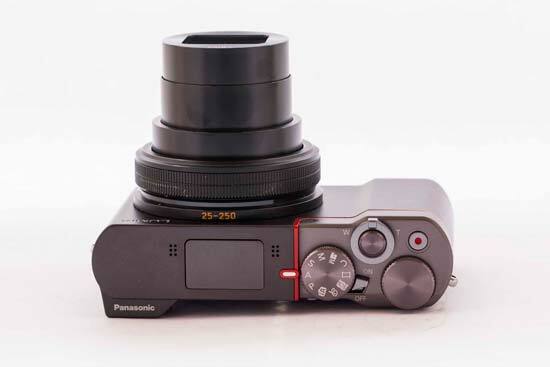 For the TZ100, Panasonic has introduced its DFD (Depth From Defocus) technology, which is designed to boost how quickly the camera can focus. This is the same DFD technology which has been used in some of the company's compact system cameras, and here it does a great job to lock onto subjects, being almost instant in bright light, and only dropping slightly in darker conditions. General operational speeds are also excellent, with shot-to-shot times being quick. Post Focus Mode was rolled out as a firmware upgrade across some of Panasonic's compact system cameras and is also available here. Essentially, the camera takes several photos in quick succession, each with a different focus point. In the camera, you can then choose from any of the focus points to change the look of your image. You can only use it on static subjects, so it's a little bit limited in its use, but it's a very interesting piece of technology. Macro subjects are particularly good for it, and it's better implemented here than in the TZ80 as the TZ100 has both a larger sensor and the capability to shoot at wider apertures - this means that a shallow depth of field effect is better represented. The Panasonic Lumix DMC-TZ100 has both a mechanical and electronic shutter. If you switch to the electronic shutter, you can shoot at speeds up to 1/16000 of a second, which is very useful if you're trying to shoot at wide apertures in bright sunlight, or, if you want to freeze very fast moving subjects. 4K Photo Modes are also very useful, especially if you're photographing action, or fast moving subjects, such as children or pets. You can shoot 4K video at 30fps, and then extract, in camera, a single frame from any of these 30.